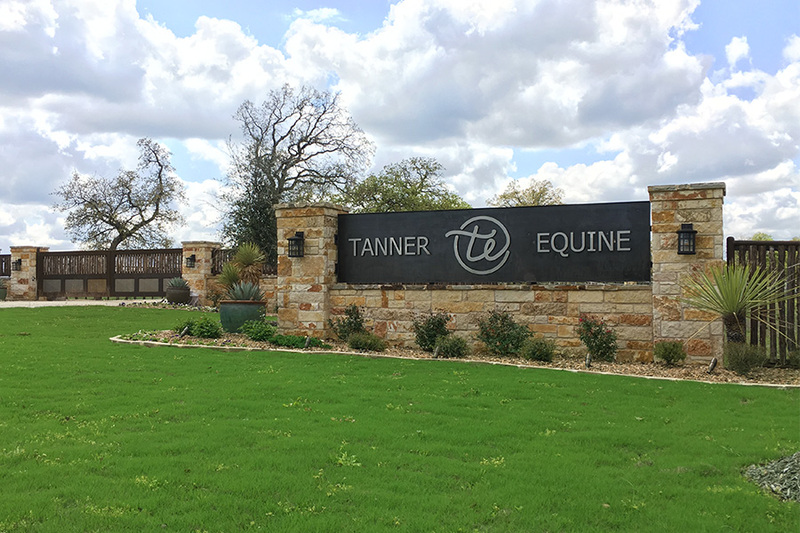 Tanner Equine aims to provide state of the art sports medicine for equine athletes. Welcome to Tanner Equine, where we take pride in being a member of each and every one of our client’s teams. We are located west of Fort Worth, Texas, and only 6.5 miles off of Interstate 20 in Millsap, Texas. The clinic is nestled in a beautiful country setting with an environment that is safe, secure and accommodating to both the horse and the rider. Our state of the art facility is ready to host you in our spacious reception area and has been efficiently designed for maximum comfort and safety of your athletes as well. The facility includes 12 large custom-made stalls, a spacious covered area for lameness evaluations and rehabilitation commodities. A designated covered area for farriers, two sizeable exam rooms, and a confidential meeting area, ensure that the utmost attention is given to confidentiality and exclusive care. With a combined 40 plus years of equine experience, the Tanner Equine team has knowledge in every aspect of equine healthcare. We are honored to be chosen by our clients as members of their team. We believe that partnering with our clients to create goals, and establishing an on-going program for the athletes to maximize their career, is one of our greatest assets.